Bullying comes in many forms, from physical abuse to verbal insults. Verbally, bullying can be name-calling, gossip, threats or teasing. It may be the hardest form to prove since there is no physical evidence of it occurring – with the exception of cyber-bullying which happens online. While playful name-calling and teasing can be benign, the line is crossed when the victim feels anxious, stressed or scared as a result of it. Physical bullying encompasses both abuse of a person and abuse of property. This includes hitting, punching, pushing or damaging personal property. Mental bullying can also occur both in person and online, and includes actions such as exclusion, rumor-spreading and ignoring. Again, harder to prove but still as detrimental as other forms of bullying. The one thing that divides harmful treatment and playful teasing is how the victim is affected. If your child is being bullied you may notice physical symptoms such as frequent crying, complaints of stomach-aches and headaches with no apparent cause and weight loss. 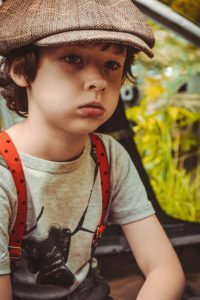 Emotionally, your child may show increased withdrawal from friends and activities, a sudden drop in grades, a resistance to attending school and/or negative self-talk. What Can You Teach Your Child About Bullying? Childhood is a confusing time for our little ones since they are not only growing physically into their bodies but dealing with emotional development as well. They may not even recognize that they are being bullied and are likely unable to cope with the situation when it happens. Leave the situation before it gets worse.There is so much power in being able to walk away. So often our children, and us adults as well, feel that innate need to stand our ground and defend ourselves. The truth is, there’s nothing our children need to prove to bullies. The best thing your child can do is simply walk away. If that is not possible, they need to learn how to deliver neutral statements. Respond vaguely to the bully with a neutral tone and statement.Bullies seek intimidation and reaction, so if your child is expressing fear or becoming angry with the bully, the bully is getting what they want. Teach your child to use neutral statements such as “whatever” or “maybe” to eliminate the reaction the bully is looking for. Hopefully, the bully will realize they are not getting what they want and cease the behaviour. Practice your responses.The more your child practices these responses, the more natural they will come if they are needed. Role-play different bullying situations with your child and have them practice neutral statements. This way, they won’t get tripped up and give in to that fear or anger when it does happen. Ask for help.No child should have to deal with a bully alone. Discuss with your child any teachers or staff at their school that they are comfortable talking to and have them go to these individuals if there is a bullying issue. Be supportive of your child and never judge them when they disclose to you – make sure you keep that line of communication open and healthy. Like I mentioned above, listening to your child is so important. If you judge them or make them feel doubtful about their situation, they may not come to you the next time it happens. Just by listening you are not only gathering information about the situation but helping to empower your child as well. Let your child know you appreciate them coming to you and praise any appropriate behaviours they exhibit toward the bully. Never shame them for making mistakes or dealing with the situation inappropriately. They are learning and you are there to help them. Notify someone at the school of the situation and be sure to check in with them on a regular basis. Schools have very strict anti-bullying policies and are responsible for helping to cease the bullying behaviour. Lastly, if all else fails, contact the bully’s parent. Approach the situation from a place of helping and understanding – the bully’s parents may have no idea that their child is bullying another child. Never be accusatory and try to work with the parents to find a solution to the issue.